Kami Kinard is the author of The Boy Problem: Notes and Predictions of Tabitha Reddy (Scholastic 2014) and The Boy Project: Notes and Observations of Kara McAllister, (Scholastic 2012). Kinard used duct tape to create her dot in homage to her character Kara McAllister, whose creativity with duct tape helps her resolve conflicts in The Boy Project. 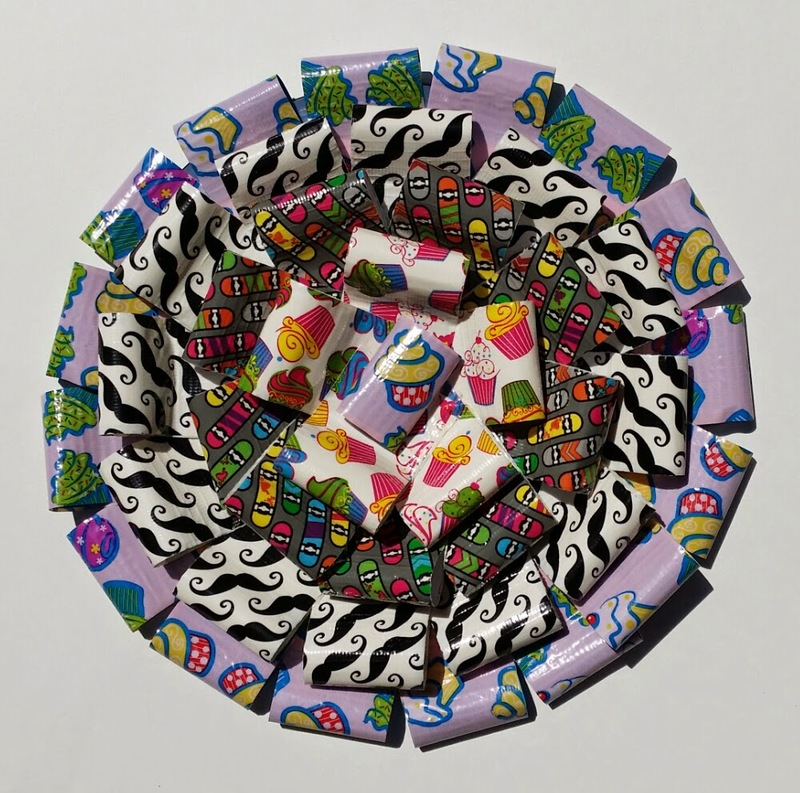 The patterning on the tape reflect the cupcake, mustache and skateboard themes from The Boy Problem. A former educator, Kinard co-founded Kidlit Summer School www.nerdychickswrite.com. You can find out more about her on her website www.kamikinard.com and by following her on Twitter https://twitter.com/kamikinard. Thrilled to see this here & if you have time, look up the Sept. 6, 2014, dot. Thanks Jan! I saw that beautiful organic dot. It is hard for me to resist anything with shells!